Here are a few Networking Interview Questions for you! 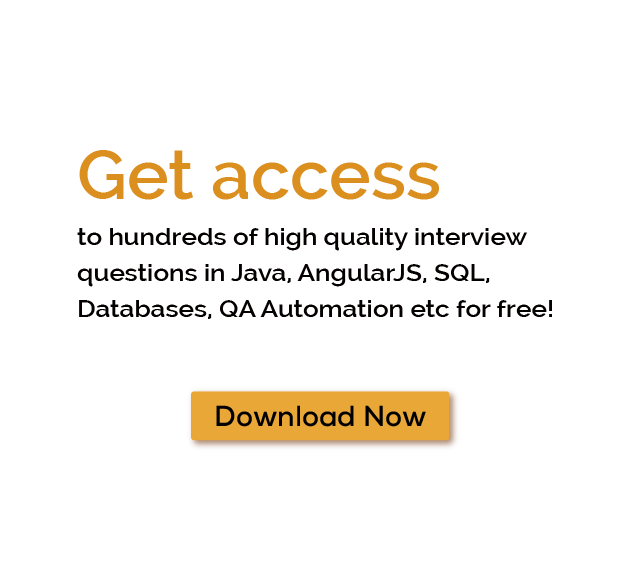 Download more High Quality Networking Interview Questions! When two or more computers are connected with each other for sharing data and resources then it is called computer networking. The best example of a computer network is internet. In this computer network tutorial, you will learn about Networking and its concepts. Types of computer network: - Network is based on the geographical location of an area. Some of them mention below. LAN: - It stands for Local Area Network that covers a small geographical area such as home , office or a building. MAN: - A Metropolitan area network connects two or more LAN network within a city or similar equidistant. MAN is larger than LAN but not as big as WAN. WAN: - Wide Area Network covers a large geographical area such as state, region or even a country. PAN: - Personal Area Network are same as a LAN but it is limited to some specific person such as home network. This network usually set up for sharing some simple resources within the personal computer. CAN: - It stands for Campus Area Network. It is also same as MAN but it is limited for a campus or a university. GAN: - Global area network used to connect two WAN. VPN: - It stands for Virtual Private Network it provides the secure connection over the Internet. Need of Computer Networking: - The primary purpose of Computer Network is sharing. We can share any type of data, information, and application through a computer network. In Computer network programming we write such program that enables the communication between two computers or between two machines. Most of the communication are divided into two parts. A communication protocol defines whether a communication is connection-oriented or connectionless. Socket Programming: - Socket programming is a technique that connects two network node for communication. With this approach, developer build such software that works on a network. A Socket is an endpoint that is used for communication between two machines. Network socket is an internal endpoint. It used for data sharing within a node. Innovation definition of computers network can’t be written without socket. With the invocation of socket in networking, one can easily transfer data with faster speed and less latency. As you know invocation meaning in hindi, so socket has been invoked in networking to enhance its power. Java Socket programming provide communication within the two application which are running on two different JRE. It can be a connection-oriented or connectionless. Connection-oriented socket programming use socket, ServerSocket classes, DatagramSocket and DatagramPacket classes for connection-less socket programming. A socket class used to create a socket. It is an endpoint node for communication. Every application has a socket which is used for communication and sharing. The socket residing a server known as server socket and a server that residing at client side known as client-server. IP Address classes of a server. TCP/IP defines five classes of IP Address. A, B, C, D, and E. Each class include a valid range of IP Addresses. If you want to learn about networking, there are many kinds of stuff are available on internet. IEEE Transactions on Computers (TC) is a leading monthly publication that publishes new research, digital device, OS and iterative trends in the area of computer networking. Wireless Sensor Network: - A WSN is a wireless network that consisting of spatially distributed autonomous devices using sensors. It is used for monitoring environmental conditions. Wireless Sensor Networks includes different types of topologies for communication. It helps us in reducing the requirement of devices. Allow us to share the data and resources at a very low cost. Allow storing data in a centralized location. Allow tracking for available resources. Allow implementing the security policies. It gives an easy way of sharing files. Allow multiple users to work on a single project. Provide a platform through which we communicate with different users on a different network. Computer networking provides flexible environment for easy data exchange. Java Methods: - Java use two types of method depending on whether a method is defined by a user or available in standard library. Java doesn’t have some standalone function. All Java function defined within the class body. There are many sample java program stuff is available on the internet that helps you to learn more about Java language. Here are some Networking Interview Questions that help you. What is ARP and how it works? What is LAN, MAN, and WAN? Difference between public and private IP Address. What is the role of IEEE in networking? What is the Stop-and-Wait Protocol? Difference between Hub and Switch? RMI stands for Remote Method Invocation. Through this method, RMI allows an object to invoke methods on an object that are running on different JVM (Java Virtual Machine). RMI is an API. Java RMI provides the remote communication between two different applications using objects. Functions and Methods are two concepts of a programming language. Functions are a self-contained program and return some value while a method is always defined within a class body. Summary: Computer network are a group of multiple computers connected with each other for sharing data and resources. Some of the many Networking Interview Questions listed below will help you get an idea about what questions gets asked in such jobs related to Software Engineering & Tech. Get through the Networking Interview bar with our selected Networking Interview Questions for all Networking enthusiasts! For thousands of similar Networking Interview Questions login to our Website or download EduThrill. Experience the thrill of challenging people around the world on Networking Interview Questions!